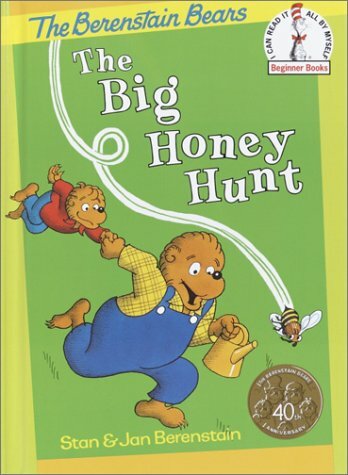 According to Papa Bear, a bear must use his "smarts" to search for honey. When he brings Brother Bear along on a hunt for honey, it takes more than a few missteps to outsmart the Bears. 5/12/2010 Danielle Wright said: The Berenstein Bears has just come back on television and it's still as great as ever. We love the Big Honey Hunt - mothers can laugh at the antics of the father showing off to his son - transpose the search for honey for a DIY home job and you can see how a modern father might behave similarly!